Jigsaw puzzles can be a fun way to gather the family together for an afternoon. 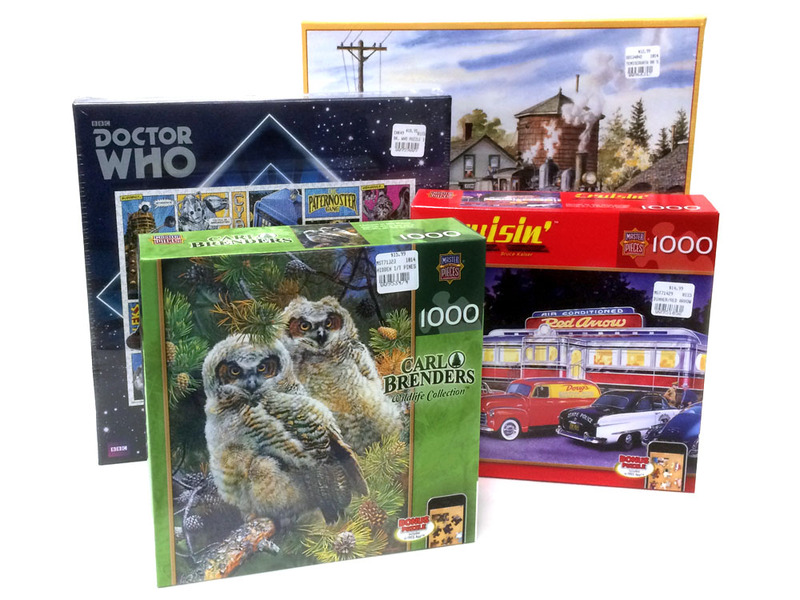 We carry between 50 and 70 different puzzles in stock at all times, with a variety of subjects and artwork. We also have puzzle mats to keep the pieces on the table, and puzzle glue, to preserve your work when you're done! Since our puzzle selection changes regularly, we can't get a complete catalog online, so make sure to stop by and check out what we have in stock!